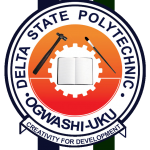 Delta State Polytechnic, Ogwashi-Uku Higher National Diploma [HND] Full Time Admission List of Successful Candidates for 2018/2019 Academic Session Released and Uploaded Online. All candidates who applied for admission into the various Higher National Diploma, ND Programmes of the Delta State Polytechnic, Ogwashi-Uku that the admission list for the 2018/2019 academic session has been released. Delta State Polytechnic Ogwasi-Uku HND admission list for 2018/2019 academic session has been uploaded online. Click on the LOGIN Button to check admission status. You can come to the Admissions office, permanent-site or logon to your dashboard with your applicant ID and Password to check your admission status.